It is a great pleasure to share with you the results of the Urban Design Event: ‘Accra Revisited’ held from February 25th till 27th in Accra, Ghana. 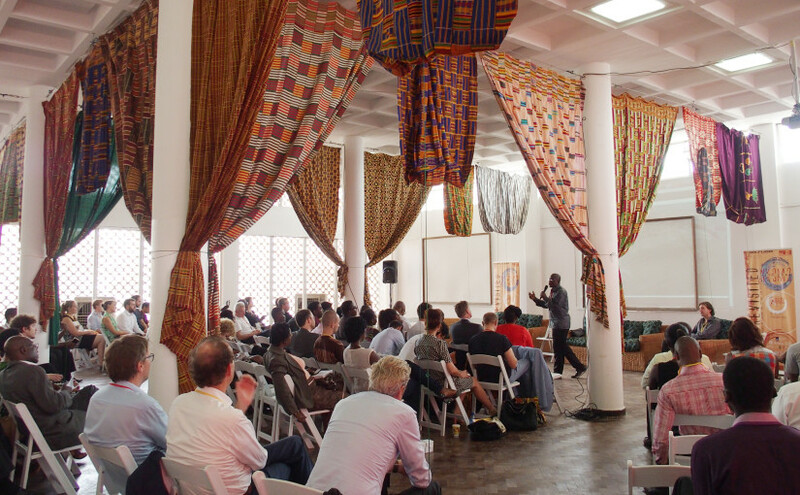 This conference, organised by DASUDA, ArchiAfrika and other partners, showcased West African and European innovative thinkers which brought their perspectives on rethinking Accra’s urban development with an outcomes based approach. The event was a first spark to ignite collaboration between Dutch and Ghanaian professionals in the broad field of physical planning. The DASUDA publication which is available at ISSUU can be viewed here. It will take you through a series of articles based on themes presented and discussed during lectures, debates, and workshops. The essays contains our findings on topics like Accra’s metropolitan scale, public domain, realizing lively neighbourhoods and a glimpse of how the Urban Design Event can be followed up. Special thanks for the great success of the event to the Netherlands Embassy, ArchiAfrika, UN-Habitat, AA Matters, Cityförster, The Berlage Institute, Ghana Design Network and the Local Sponsors; all the speakers, presenters, panellists and special guests; the people of Accra and in particular the communites of Jamestown and Ga Mashie; the DASUDA team. DASUDA sincerely hope to continue sharing results and thoughts about future collaborative projects. The Creative Industries Fund NL is a Dutch cultural fund that provides grants for innovative projects within architecture, design and e-culture. In addition, it stimulates crossovers with other cultural and social sectors. Commissioned by the Dutch Ministry of Education, Culture and Science, and the Ministry of Foreign Affairs, the Creative Industries Fund NL has an Internationalisation Programme designed to strengthen the global reputation of the Dutch creative industry, build enduring networks and broaden the market.